The Internet is a nice aid when looking for an out-of-state home.  However, it does not replace the skills and knowledge of a dedicated professional realtor like Elyse Berman. My husband and I are very fortunate to have found this devoted pet lover during one of our unenlightened Internet searches. We were unaware that many communities do not allow pets at all, limit pet numbers to one or two, or even reject certain breeds. Having three small dogs greatly reduced the number of houses available to us. Elyse is a pro at matching pet owners with the perfect community and home for their unique situation. It was reassuring to see how well prepared Elyse was every day. Every house and community we saw would work for us with few deletions to our “wants” list. Also, Elyse has an innate ability for understanding what clients want/need. We thought we wanted an established home, but our facial reactions and comments said otherwise to Elyse after walking thorough homes we requested to see. Hindsight, we are elated that Elyse threw in a new construction complex to view. This pet-friendly community finally made two opposite thinking spouses agree that this was the “one” for our future. It took less than a total of one week of viewing houses to “hit the jackpot” with our soon-to-be home. Elyse’s level of professionalism, knowledge and warmth is the ultimate. What a world of difference she makes! She graciously continues to answer phone calls to help former clients with a vast range of requests for needed information/suggestions. That is going above and beyond the sale. She is 100% polished professional and a “constant giver” friend to all fortunate to find her when relocating. I cannot imagine being as thrilled with any other Realtor.